Low cost Punta Prima holidays transport you to the pleasant shores of southeast Menorca. As one of the earliest resorts on the island, it is located close to the principal town, Mahon, and to the airport. Having a white sandy beach around its wide bay, it appeals to families and couples alike. Be aware that there are strong currents and only swim when the green flag is flying. A variety of water sports are available from the beach. The clear waters are ideal for snorkelling and sailing and windsurfing are enjoyed in the breeze. Coastal walks are a popular pursuit and a road train takes you to neighbouring Binibeca. Along the edge of the beach, you'll find bars and restaurants so you are never far from refreshments. A Punta Prima holiday is a good choice for those seeking a relaxing break with a guarantee of sunshine. Punta Prima provides good quality accommodation with traffs to suit most budgets. It is a friendly, wecoming resort which gives excellent service. Take a look at the all-inclusive option as it may be cheaper than you think, particularly when discounts are applied. Restaurants, bars, pubs and cafes provide for all tastes with a good variety of menu. If this is your first visit to Spain and you wish to try Spanish cuisine, order tapas and you'll receive a selection of bite sized morsels, ideal as a starter or to bridge the gap between lunch and dinner. Wines are good value. Shops are limited but provide for essentials and if more are needed you can take the bus to the markets in neighbouring San Lluis or to Mahon. Nightlife is fairly low key so those wishing for a party atmosphere should head for Mahon with its many bars and clubs. Cheap Punta Prima holidays can be taken from early April until late October. Temperatures rise from twenty into the low thirties in mid summer. Several low cost airlines fly direct to Mahon from regional airports. Check to see if there is a service from your own local airport. Transfers to the resort are short, taking less than thirty minutes. Having decided on Punta Prima in Menorca, your next task will be to find a good deal. The search for a bargain can be time-consuming so, if you wish to save time as well as money, we can be of assistance. 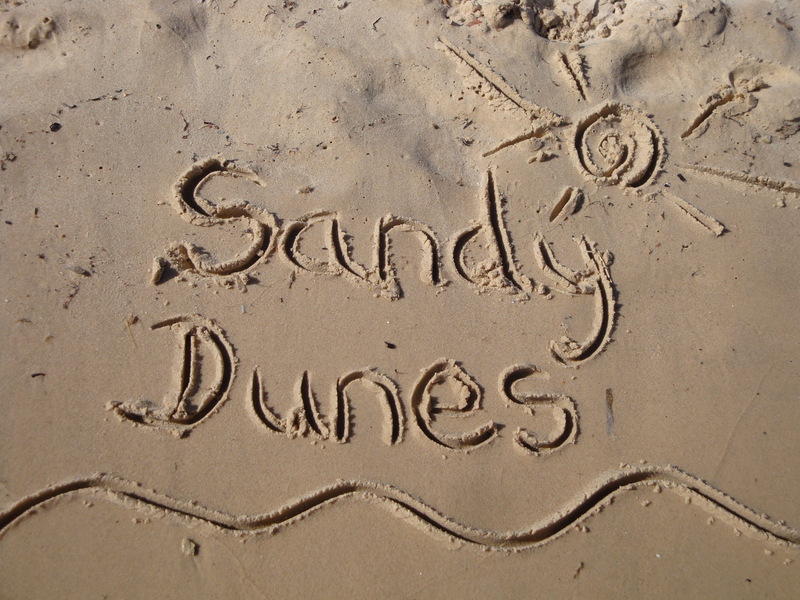 Sandy Dunes Holidays is a price comparison site with access to the best offers from more than three dozen travel companies, all of whom are competing for your booking. You are sure to make savings and it only takes a few moments of your time. Just enter your point of departure, your dates and destination and, within a matter of seconds, we'll show you the Punta Prima holiday that is the cheapest. Make a phone call and book. It's as simple as that. Please note that offers change daily so, to avoid disappointment, phone without delay.